A new metric “Super Mountain” was revealed by G & J Surveys at a press conference in Maentwrog, Snowdonia yesterday. The vast majority of the UK’s mountains with summits of over 1 000 metres are in the Scottish highlands with previously only four other summits – all in Snowdonia – confirmed as over this height. Glyder Fawr, previously recorded as 999 metres by Ordnance Survey has been measured as 1000.8 metres in height making it a “Super Mountain”. Since peaks with summits over 1 000 metres are so rare outside Scotland, G & J surveys have devised the term “Super Mountain” to describe them. They noticed that one major Welsh peak – Glyder Fawr – has a height measured by Ordnance Survey at 999 metres. Ordnance Survey has used aerial surveying techniques to measure summit heights and these have an accuracy of ± 3 metres meaning that the height could be anywhere between 996 and 1002 metres. Since this could mean that Glyder Fawr could meet the critieria for a “Super Mountain”. Myrddyn Phillips added that G & J Surveys have GPS-based surveying equipment that can measure heights to an accuracy of ± 5 cm and thus hoped to determine whether or not Glyder Fawr’s summit was over one thousand metres. The Glyder range (Glyder Fawr and Glyder Fach) is spectacular with a ‘lunar landscape’ of grey rocks with many pinnacles. Glyder Fawr has two tors of similar height so G & J Surveys measured both in order to be sure of measuring the true summit. The tor closer to Lake Ogwen was measured as 1.4 metres higher than the other. This tor has two pinnacles and one was found to be 2 millimetres higher than the other! The summit height of Glyder Fawr – after running measurements for four hours – was determined to be 1000.8 metres making it the fifth “Super Mountain”. Mark Greaves of Ordnance Survey confirmed the data presented. He said that heights such as 999 metres for Glyder Fawr should not be regarded as “wrong” but simply the best estimate given the surveying technique used. He confirmed that the measuring equipments used by G & J Surveys was very accurate and said that Ordnance Survey accepted the new height for Glyder Fawr. The new height (which will be marked as 1 001 metres) will appear in digital maps in about one month and in the upcoming reprints of 1:50000 and 1:25000 maps. The new measurements also impact the UK Prominent Peaks classification devised by Jim Bloomer and Roddy Urquhart of UK Metric Association. UKMA was invited to make a presentation at the press conference and Roddy explained that metric maps have a surprisingly long history in the UK. The currently used 1:50000 scale (equivalent to 2 cm for 1 km) was first proposed by map-making pioneer William Roy in the 18th Century. 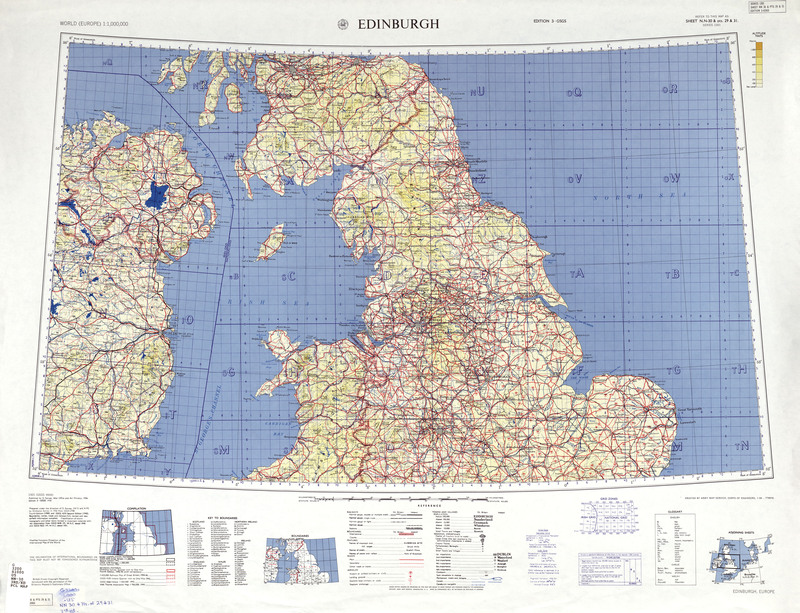 The kilometre-based National Grid was proposed by the Davidson Committee in 1935 and metric contours were used on some maps by Ordnance Survey by 1956. Unlike traditional hillwalking lists with height breakpoints at imperial heights such as two thousand or three thousand feet, the UK Prominent Peaks classification uses break points that line up with modern metric maps. This uses break points at 500, 750 and 1 000 metres which are easily found contours. The new survey results on Glyder Fawr mean that the peak is reclassified from an ‘H750’ (with height in the range 750-999 metres) to an ‘H1000’ (height of 1 000 metres and above). Roddy explained that Glyder Fawr is now the 134th Prominent Thousander peak in the UK. (Note that H1000 has a more restrictive definition than “Super Mountain” as it must have a height of at least one thousand metres and a prominence of at least 100 metres). In addition the Welsh 1000m Peaks Race may be impacted. Kate Williams of the Gorphwysfa Club explained that the current route covers the previously known four “Super Mountains” and crosses the Glyder ridge simply as a means of going between the Carneddau and Snowdon ranges. She explained that re-routing the race to include Glyder Fawr would be more “satisfying” by being a more comprehensive 1 000 m route, but that organisational and safety issues would need to be reviewed before making a change. Glyder Fawr is owned by the National Trust and spokesman Rhys Evans described the new survey announcement as a “historic day”. Finally Emyr Williams Director of Land Management at the Snowdonia National Park Authority, who chaired the press conference, said: “We are extremely pleased that G & J Surveys have gone to so much trouble to ensuring a correct measurement for Glyder Fawr.The new measurement has new obligations for us as an Authority from a land conservation and management perspective. We now have a fifth peak in Snowdonia which is higher than 1000m and as a result, it is sure to attract more walkers to this area”. The UK Prominent Peaks workbooks and maps will be updated shortly to reflect the new measurements of Glyder Fawr and an announcement will follow on this blog as soon as they are available. Video coverage of G&J Surveys’ work on Glyder Fawr and the press conference is given on YouTube here. This entry was posted in General, Mountains and tagged map, metric, mountain, peak, UK Prominent Peaks, Wales. Bookmark the permalink. Unfortunately it lends support to the idea that it is cool not to understand metric measurements. OK, the BBC is required to inform, educate and entertain us. Did it have to try so hard to entertain on this occasion? I didn't find the BBC Wales "joke" entertaining - just irrelevant and distracting. Or perhaps a deliberate piece of sabotage by the BBC's editor. After watching the segment on the BBC web site (thanks to the link provided by Derek), I can chime in with Robin that the whole bit showing each interviewee's height in Imperial to be distracting and a bit of the "poke in your eye" by the BBC's editor. This makes me wonder where Imperial still shows up officially for people's heights (and weights). Are there any official documents that use Imperial only? Any that always show both metric and Imperial? In any particular order? Do the NHS and other health services routinely measure the height of patients in metric (in part to be consistent with the directives to have their weight measured on metric-only scales ... at least eventually ... and assuming the current government will not renege on the Labour government's recent past pronouncements to ensure this)? Ezra asks if any Official Documents in the UK still ask for information in Imperial. I have tried to find out online for passports etc but its not easy to see what info they need without making a full application. The NHS is metric only officially but I suspect that Imperial conversion is given if requested. A classic case here is weight. New born babies are measured in kilos, but are almost universally 'announced' by new parents in lbs an ozs. The reason is simple - its what people are used to. I quote my weight in kilos but get blank looks in most cases from friends and family. I find myself having to apologise for apparently 'confusing' people. My Partner's cousin has recently had a baby and has been in touch on facebook to ask how to convert the weight in grams to lbs! She is 22 and says that no-one uses metric. Its ridiculous but that's the way it is in modern Britain - there is a huge kickback against so-called Government interference and people don't like being told 'how to live their lives'. This goes from so-called political correctness, health and safety, and so on. I suspect that people see metric measures in the same way, which is why we need non-political figures to come to our aid. If someone like Alan Sugar, Terry Leahy, or Richard Branson came out in support of metric we would stand a better chance! This is a bit off the current topic of mountains but since it was mentioned above I feel I have to share my experience in dealing with the NHS. Nursing staff and some doctors are every but as bad as the public when it comes to using imperial for personal weight. I have found myself having to tell them that kilograms are fine and I don't need conversion - I certainly don't request it, on the contrary there is a tendency to assume that I need it. Furhermore I witnessed one occasion where a senior hospital doctor actually asked the patient to convert his weight to stones from a chart on the wall - purely for his benefit not the patient! I'm afraid it's not just infections from MRSA that hospitals have to worry about - it's the imperial units contamination caused by the British measurement mess.